With hundreds of wax figures, enjoy endless photo ops and feel free to get creative with your poses! awesome app. very excellent museum. I have show this museum 1st time. it was really nice experiance. thanks to klook. that it has give us good deal. the 4d show was awesome. that is included in package. Pose for photos and hang out with international celebrities at Bangkok’s Madame Tussauds Museum! 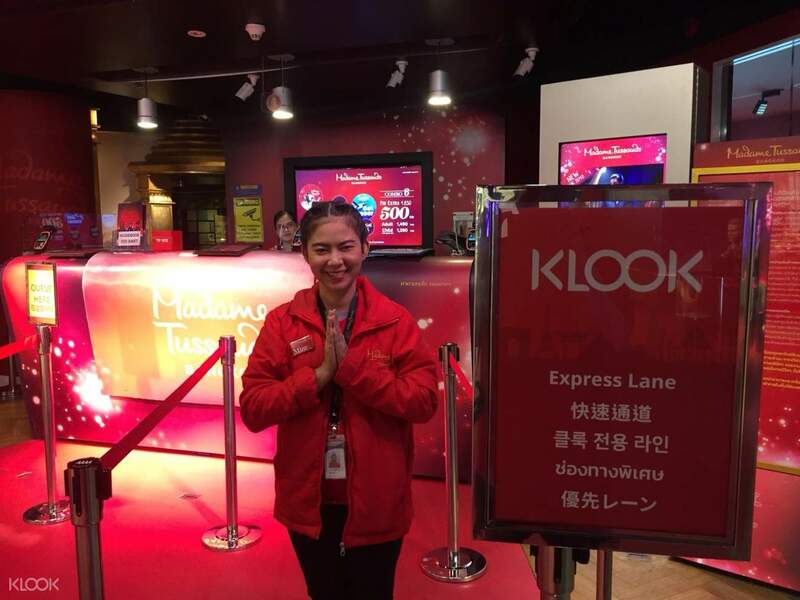 Upon arriving, have no worries when redeeming your ticket – simply go to the Klook exclusive skip-the-line lane and avoid the hassles of queuing! Learn all there is to know about the famous wax museum and discover how the lifelike sculptures are created. Discover a stunning collection of wax figures from local showmen and notable politicians to world-class athletes and award-winning scientists. Explore the museum to meet your favorite stars: dance alongside Michael Jackson, strike a pose on the red carpet next to Angelina Jolie, snap a quick selfie with Albert Einstein – all in a day! 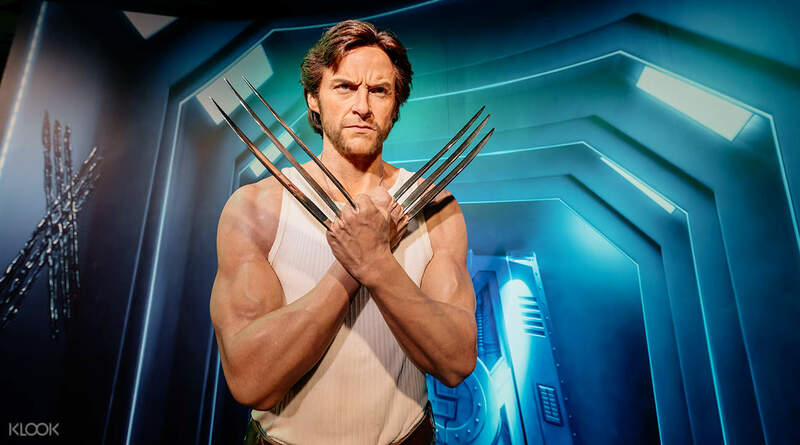 Meet your favorite celebrities at Madame Tussauds Bangkok! 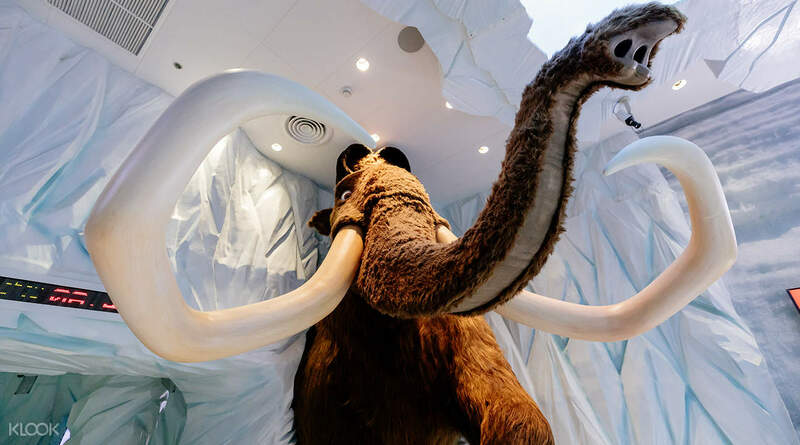 Enjoy the chaotic but humorous world of Ice Age through an immersive 4D cinematic experience! Download the Madame Tussauds smartphone app to enhance your experience! awesome app. very excellent museum. I have show this museum 1st time. it was really nice experiance. thanks to klook. that it has give us good deal. the 4d show was awesome. that is included in package. awesome app. very excellent museum. I have show this museum 1st time. it was really nice experiance. thanks to klook. that it has give us good deal. the 4d show was awesome. that is included in package. First time using klook apps. It was easy to buy and redeem the voucher. Instruction how to get to the venue is clearly stated on the voucher. It was a pleasant visit and fun. You can "interact" with the wax replica as they made the setting so when you are making a photo, it looked like you are part of the setting. At the end you can watch 4D movie: Ice included in the ticket. First time using klook apps. It was easy to buy and redeem the voucher. Instruction how to get to the venue is clearly stated on the voucher. It was a pleasant visit and fun. You can "interact" with the wax replica as they made the setting so when you are making a photo, it looked like you are part of the setting. At the end you can watch 4D movie: Ice included in the ticket. First time to try Madame Tussaud and it was an amazing experience for us. Rooms are divided according to sports athletes, etc. There were a lot of people visiting when we got there. Nevertheless, it's still worth it! First time to try Madame Tussaud and it was an amazing experience for us. Rooms are divided according to sports athletes, etc. There were a lot of people visiting when we got there. Nevertheless, it's still worth it! Wonderful experience. All celebrities wax sculpters in one place, giving opportunities to click beautiful snaps. Ticket booking was very easy by klook. Booked tickets at discounted price. Overall enjoyable moments spent at Madame Tussads Bangkok. Wonderful experience. All celebrities wax sculpters in one place, giving opportunities to click beautiful snaps. Ticket booking was very easy by klook. Booked tickets at discounted price. Overall enjoyable moments spent at Madame Tussads Bangkok. It was really convenient to use the vouchers from Klook. Hassle free and much cheaper. Better to be there early as possible, to avoid crowds near the stars. You can see the short 4D movie at the end, make it to the end. Don't forget to take your passports!!. It was really convenient to use the vouchers from Klook. Hassle free and much cheaper. Better to be there early as possible, to avoid crowds near the stars. You can see the short 4D movie at the end, make it to the end. Don't forget to take your passports!!. Was a great experience with Klook! Hassle free booking and great service from Madame Tussauds! (FYI : booked the ticket just a few hours in advance!) Love every details of the ‘wax person’ and also had fun in the 4D movie theater! Definitely will use Klook again whenever I travel abroad! Was a great experience with Klook! Hassle free booking and great service from Madame Tussauds! (FYI : booked the ticket just a few hours in advance!) Love every details of the ‘wax person’ and also had fun in the 4D movie theater! Definitely will use Klook again whenever I travel abroad! It's a really fun experience! Most of the wax figures appear to be accurate like Arianna Grande, Mark Zuckerberg, Princess Diana and a whole lot more. Although the wax figure of Beyonce doesn't look much like her, and Mario Maurer's as well (which is quite important because he's a superstar in Thailand). I arrived early around 11am on a Friday and there's no queue. Claiming the ticket is very easy. Although I think that the Britney Spears wax shouldn't be displayed outside the exhibition hall for free because it's BRITNEY SPEARS!!! It's a really fun experience! 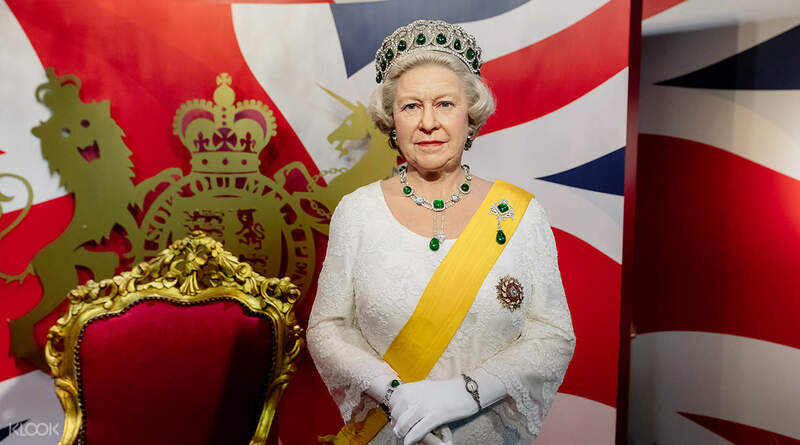 Most of the wax figures appear to be accurate like Arianna Grande, Mark Zuckerberg, Princess Diana and a whole lot more. Although the wax figure of Beyonce doesn't look much like her, and Mario Maurer's as well (which is quite important because he's a superstar in Thailand). I arrived early around 11am on a Friday and there's no queue. Claiming the ticket is very easy. Although I think that the Britney Spears wax shouldn't be displayed outside the exhibition hall for free because it's BRITNEY SPEARS!!! Amazing wax museum with almost every personality and celebrity. It was a lot of fun as you can take pictures, make different poses and enjoy yourselves thoroughly. There's also free 10min 4D movie with the tour and a very delightful affordable souvenir shop. Overall it was a wonderful experience and a must do when in Bangkok. Amazing wax museum with almost every personality and celebrity. It was a lot of fun as you can take pictures, make different poses and enjoy yourselves thoroughly. There's also free 10min 4D movie with the tour and a very delightful affordable souvenir shop. Overall it was a wonderful experience and a must do when in Bangkok. This Madame Tassauds Museum is quite small compared to other cities like Hong kong and London. It is still worth going as it is less crowded & conveniently located in Siam Discovery mall in Central Bangkok. There are wax figures of world political figures like Putin, Mao, Dr M , Narendra Modi , Michelle & Barack Obama alongside celebrities of glamour worlds. My personal favourite was the wax figure of Mark Zuckerberg : it looked quite real. I also liked the idea of inclusion of renowned personalities of Thailand and other ASEAN countries. It was a great learning experience for me and my kid. A pleasant way to spend few hours in Bangkok with your family. I got the tickets at much cheaper price when I pre-booked them via Klook app. This Madame Tassauds Museum is quite small compared to other cities like Hong kong and London. It is still worth going as it is less crowded & conveniently located in Siam Discovery mall in Central Bangkok. There are wax figures of world political figures like Putin, Mao, Dr M , Narendra Modi , Michelle & Barack Obama alongside celebrities of glamour worlds. 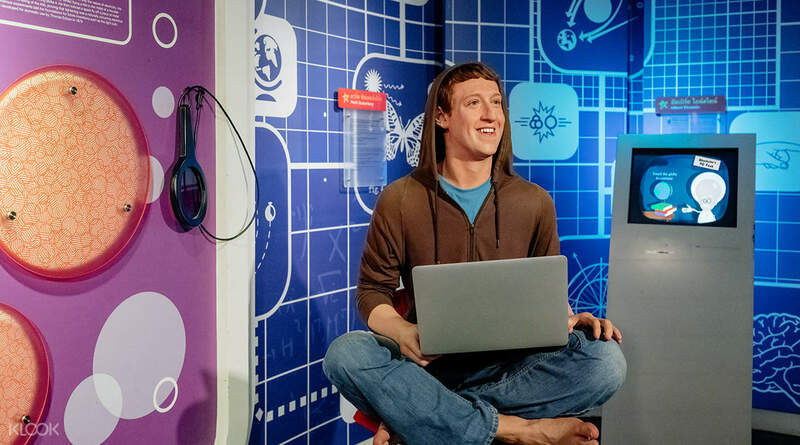 My personal favourite was the wax figure of Mark Zuckerberg : it looked quite real. I also liked the idea of inclusion of renowned personalities of Thailand and other ASEAN countries. It was a great learning experience for me and my kid. A pleasant way to spend few hours in Bangkok with your family. I got the tickets at much cheaper price when I pre-booked them via Klook app.